My grandparents passed away two years ago, and I think about them every day. Of course, at Thanksgiving, we still honor them in some way. My grandmother was like me. She was unable to sit still, and was constantly doing something productive. 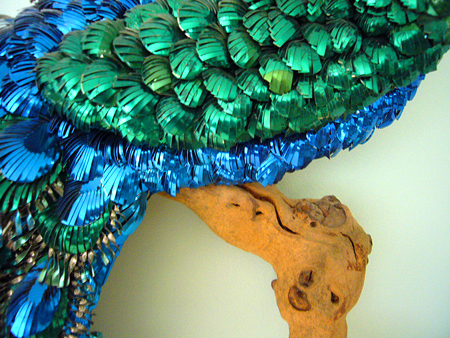 She had a remarkable talent visually and put that talent to good use, making amazing objects. Being a product of her time and place, she didn’t consider being a designer, which is unfortunate. Her sense of color was unique and always worked. 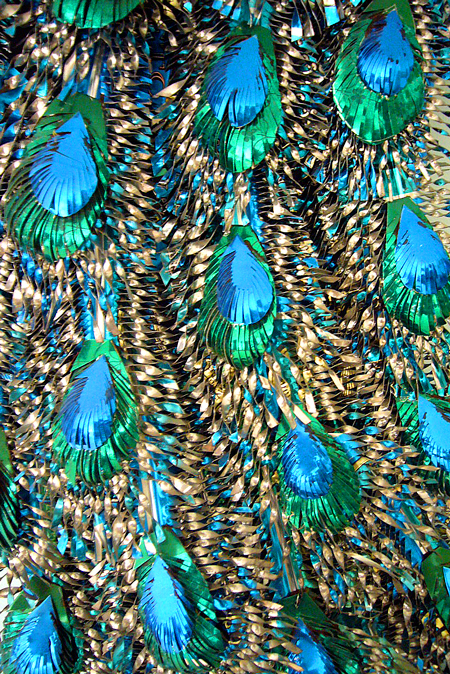 This peacock is one of two. My brother, Ian, has the other one at his house. At first glance, it seems like a nice piece of metal sculpture from the mid 1960s. That’s what it is. But it’s more. My grandmother made it from MJB coffee tins. The damned thing has tons of sharp edges, and I always cut myself when I move it. So I don’t know how she managed to cut and twist the coffee cans to make this without slicing off a finger. This goes far beyond felt animals with sequins. I had a well-known editor of a major design magazine at my house for a dinner party a few years ago. 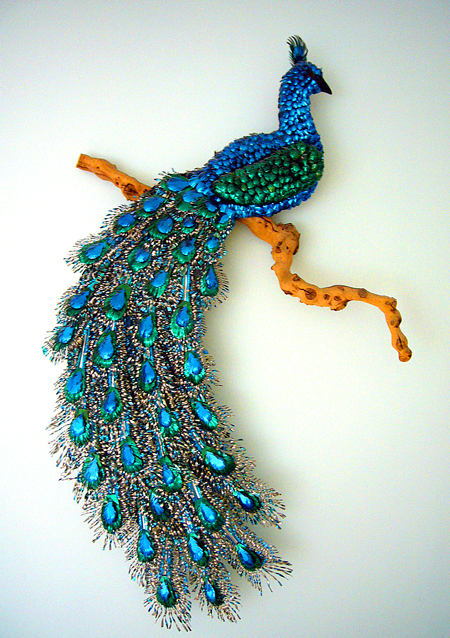 When she saw my grandmother’s peacock on the wall, she looked at it condescendingly, and said, “Sean, what a remarkable collection of kitsch you have.” She has not been invited back.